Business card is the tool for introducing yourself. 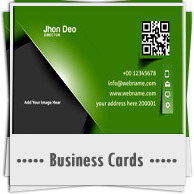 By professional business card you can attract customers towards your business. Now you can easily create printable business cards in various sizes and shapes. Business card maker software is comprehensive solution to create professional business cards for various commercial organizations. Business card creator software is developed with different card designing tools including Line, Ellipse, Pencil, Rectangle, Text, Barcode, Picture, Arc, Triangle and star objects to create high-quality business cards. Allows user to design multiple business cards concurrently using inbuilt dataset series generating feature. Saves designed business card at user specified safe location on the PC for future reference. Provides inbuilt password settings that restricts unauthorized software accesses. Provides facility to print created business cards via inbuilt printing settings. 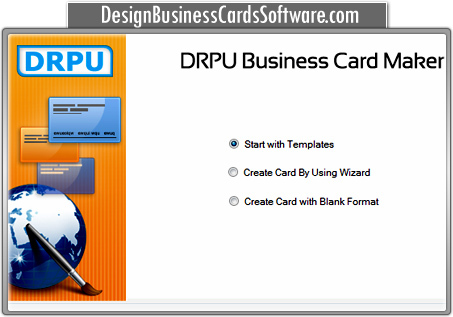 Enables user to add photos, backgrounds and text during the card designing process.